Herpes is not necessarily about having painful sores and a miserable life. Many carriers of the herpes virus are not even aware that they have the herpes virus in them. This is due to the fact that not everyone shows symptoms of herpes infection, which is famously known for the painful sores it causes. It is actually quite simple to find out if you carry HSV 2, or genital herpes virus. This is done by a simple blood test, where the test will find out of you have HSV 2, or herpes simplex virus 2 in your blood stream. Herpes shedding, however, is a different matter altogether. Herpes “shedding” is referred to the spreading of the herpes virus through the genital and rectal area. Everyone who carries the virus in their blood stream will shed the virus up to a certain extent of time, even if they show no symptoms of having the virus. The problem with this is that you may be giving the virus to your sexual partner without even realizing it. Hence, it is always good to make sure where you can, so you can take the preventive measures and medication. A study had been carried out to see how often people “shed” the herpes virus in order to get an idea of what affects the increase or decrease of the shedding. Many people who volunteered for the study didn’t even know they had herpes until they were tested for it, so people with a variety of symptoms were a part of the study. The study was conducted to about five hundred people starting from severe to no symptoms at all. They were swabbed daily to check for the HSV 2 infection. It was found out that even those who did not have any symptoms of herpes shed the virus at least ten percent of the time. Some of the results show that both men and women shed the virus just as often, and men can shed the virus even through normal looking skin. Furthermore, someone who has HSV 1, or suffers from cold sores, shed the HSV 2 at the same rate as someone who did not have cold sores. More importantly, people who had seven or less outbreaks shed the herpes virus about 19% of the time, whereas people who had outbreaks eight times or more had a higher chance of about 31% of spreading the herpes virus. There are still no known cure to totally stop the herpes infection in a person, and this is what makes herpes so frightening. However, there are methods through which you can cut out your chances of spreading herpes to your partner by half. Doctors recommend the use of condoms, as this will decrease the chances of spreading the virus. Certain drugs, such as valacyclovir, decrease the chances of herpes shedding as well. Last but not least, remember to tell your partner that you do have herpes, so preventive measures can be taken from both sides. This entry was posted in Transmission & Prevention and tagged herpes shedding, herpes trasmission. Bookmark the permalink. Looking for an online dating site for people with herpes? Our editor and user reviews of the top 10 herpes dating websites will help you to make a right decision. 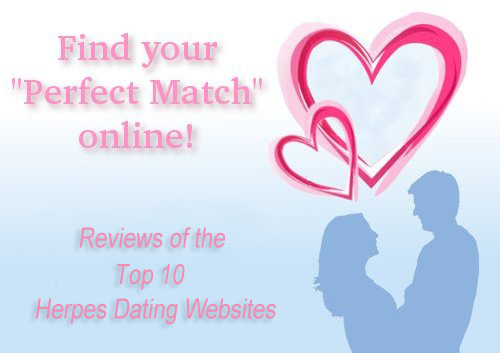 With rankings, ratings, pricing information, feature lists and more, you are going to know each dating site well. 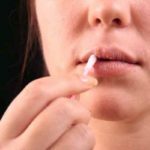 Topical Vaginal Treatment: A New Herpes Breakthrough? How Herpes Lead to Cervical Cancer? How Will Herpes Affect Your Life? Enter your email address to follow this blog and receive notifications of new posts about herpes dating advice, tips, resources and more by email.